This incident took place when i was working in paediatric unit of hospital and my shift included a new patient of age 2 years who was suffering from malnourishment and underdevelopment and he was a very difficult child to manage. He was being highly uncooperative and made it extremely difficult for nurses to administer any treatment or do any assessment. It was discussed that maybe we should sedate the patient and try IV route for feeding and drug administration, suddenly one of the nurses who used to read a lot about latest development in Evidence based practice suggested that according to new researches involvement of family and parents in treatment can actually help in such situation. With thought of giving this a shot and invited her mother to intervene and help us in calming the child and getting his cooperation. She started talking to her in their native language and sang a few songs which really reduced his anxiety level and after half an hour of spending time with his mother he was ready for every treatment. From this incident we realised how much effective and empowering a family centred care approach can be and how easy it is to implement and integrate in clinical practice. While using this approach in our clinical practice i was constantly thinking that how important it is to read up latest research studies and adopt EBP model in clinics. If our colleague would not have known about this new research, we would never have broken the protocol of not brining the parents and family members in ward except visiting hours and struggled to get cooperation from young patients. Second important point which crossed my mind is the empowering and encouraging leadership of our Unit head Ms. Clarke who allowed us to take chances and decisions and asked us to go with our collective intellectual capacity and reasoning. I believe any other leader might not have been that supportive and even sceptical in breaking a protocol but she was visionary enough to see that there is no actual harm done even if protocol is broken and it is of no use to any of the stake holders if unnecessarily invasive approaches of treatment are used. In my opinion what we did was a conscious and reasonable treatment approach and it was well thought off before making the decision. 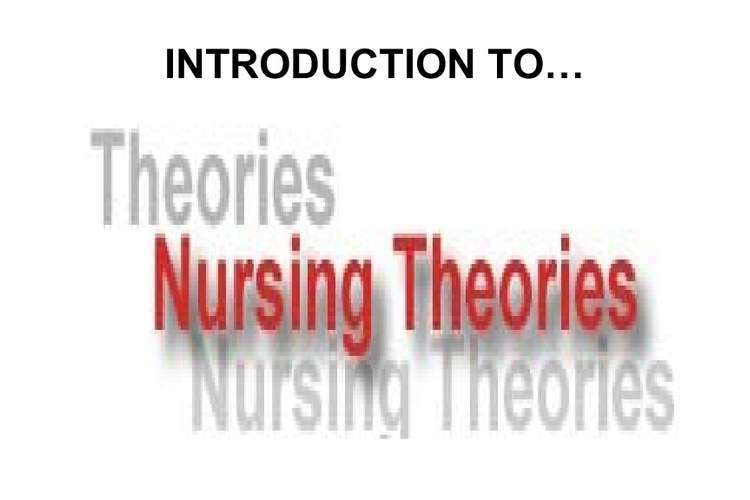 Such approaches and treatment modalities should be supported and nurtured because without encouragement no nursing professional would take any chances and help in improvising the system (LeMone & Burke, 2011). On evaluation it can be said that above experiment was a success and we got the results of our experiment in half an hour of beginning the procedure. On evaluation it was also observed that such experiments are more effective in case patient belong to a specific culture or language. In case a young patient gets admitted to a hospital or ward then it is very important that a comfortable and friendly atmosphere is provided to patient. This can be achieved easily with involvement of family members and i believe there is a lot more involvement which can be gained from parents and families in developing a better treatment plan and recovery of patient. On evaluation it was also observed that working as a team is also very important in clinical settings if a nurse is looking for extraordinary results on their treatment and care plan. In this case all nurses involved with treatment and unit got together and collectively decided to adopt one of the possible solutions offered by a member. It is teamwork of entire unit and coordination of activities which resulted in successful development of treatment plans (Chang & Daly, 2012). If this kind of situation happened again then learning made from this incident would be of immense use for me. I am planning to include this approach in standard operating procedure of giving treatment to young and uncooperative patients, especially when their primary language is different and we are not able to provide them comforting words or explain the entire situation. It is observed that if we are not able to explain the patient entire situation and treatment plan properly then they assume the worst of every situation and start panicking. Thus next time we will be bringing in someone from the family as an integral part of the treatment plan for a younger patient and take their information regarding patient’s understanding, their likes and dislikes very seriously and plan our behaviour and treatment plan accordingly. Second important learning was made about the importance of continuous education and updating our knowledge through latest research studies and their evidences. Evidence based practice model is based on this approach and it is important for all of nursing professionals to develop a strong and focused orientation towards reading and implementing the evidences provided in latest research studies (Nursing and Midwifery Board of Australia, 2008). Ans:- AHPRA or Australian health practitioner regulatory agency is a supporting agency which helps the registration boards in doing their primary duties. AHPRA also undertakes the publishing of registers which contain information about registered practitioners who are licences to practice. They are also the touch point for public where complains about a medical practitioner or a student can be made. Essentially it can be said that AHPRA is the face of medical practice regulations in country of Australia and they are the agency which interacts with common people for every issue. On the other hand Nursing and midwifery board of Australia are the authority who are allowed to register every qualifying nurse in the country and provide them licence and approval to practice their speciality. Their duties also include developing standards of practice in country and decide upon regulations and amendments which are needed for smooth functioning and regulation of nursing and midwifery as a profession. Nursing and midwifery board is the primary regulating and governing body of nursing profession while AHPRA is a supporting agency which helps the board in carrying out its functions (Richardson-Tench, 2011). Ans:- according to the current regulations and national laws of board of nursing and midwifery all nursing practitioners in Australia has to engage with CPD which is continuous professional development activity. According to Australian regulation a nursing practitioner is required to gather a certain number of points every year to be eligible for renewal of licence to practice. These points are gathered by attending workshops, seminars, conferences and getting indulged in live demonstrations and hand on experience on new treatment modalities. Nurses on the nurses’ register will participate in at least 20 hours of continuing nursing professional development per year. Midwives on the midwives’ register will participate in at least 20 hours of continuing midwifery professional development per year. Registered nurses and midwives who hold scheduled medicines endorsements or endorsements as nurse or midwife practitioners under the National Law must complete at least 10 hours per year in education related to their endorsement. One hour of active learning will equal one hour of CPD. It is the nurse or midwife’s responsibility to calculate how many hours of active learning have taken place. If CPD activities are relevant to nursing and midwifery professions, those activities may be counted in each portfolio of professional development. The CPD must be relevant to the nurse or midwife’s context of practice. Nurses and midwives must keep written documentation of CPD that demonstrates evidence of completion of a minimum of 20 hours of CPD per year (Australian College of Nursing, & Australian Nursing Federation, 2008). All nurses are required to carry out professional indemnity insurance either personally or by their employer as it is a regulatory requirement of Australian midwifery and nursing council. Generally such insurances cover public liability of a nurse, their professional liability or indemnity in case of malpractice or negligence; it covers legal expenses which a nurse has to bear in case of a law suit or a legal action etc. Any run off cost of former member is also covered in professional indemnity insurance. A 24 hours insurance cover is also provided for good Samaritan act carried out by any nurse at any point of time in Australia and New Zealand (Fussell, Mcinerney & Patterson, 2009). It is also mentioned in regulations that only full financial members of ANMC would be eligible for a professional indemnity, thus it is compulsory for every practitioner in New Zealand and Australia now to be registered, involved in CPD and carries out professional indemnity insurance. Ans:- ANMC has decided to develop a national framework of decision making tools for all nurses and mid wives who are practicing in Australia and New Zealand. This frame work helps in promoting diversity in nursing professional and ensures that all professionals are flexible and updated enough to make the updated and informed medical decisions. Another benefit of development of this framework is that it helps in fostering uniformity and consistency in decisions and a minimal bench mark standards is reached in all decisions irrespective of their area of practice, their experience and their geographical locations etc. Through these decisions making framework responsiveness of the work force in nursing and midwifery in Australia is also improvised and there is a definite improvement tin accuracy of decisions (Cubit & Leeson, 2009). Decision making framework improvises the scope of nursing and midwifery practice and it also improvises the chances of each and every nurse following the Evidence based practice model. This happens because entire decisions making framework gets updated with latest researches and evidences in practice. LeMone, P., & Burke, K. (2011). Medical-surgical nursing: Critical thinking in client care (5th ed.). Upper Saddle River, NJ: Pearson/Prentice Hall. Australian College of Nursing, & Australian Nursing Federation. (2008). Nursing and Midwifery Board of Australia, Code of ethics for nurses in Australia. Nursing and Midwifery Board of Australia. (2008). Code of professional conduct for nurses in Australia. Australian Nursing & Midwifery Council and the Nursing Council of New Zealand. (2010). A Nurse's guide to professional boundaries.